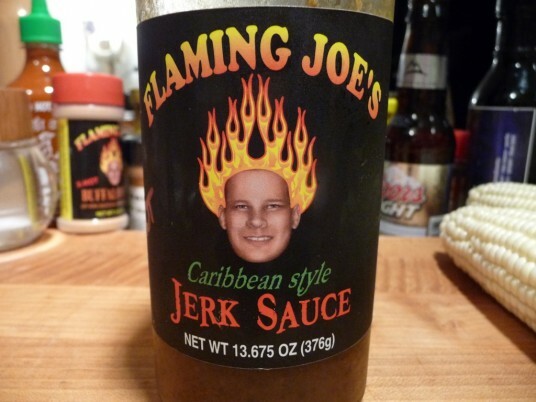 We have had Flaming Joe’s Jerk Sauce several times over the past year or so, but we were always focused on enjoying the food, but then we finally realized we hadn’t written a review! It’s time to make things right and give Flaming Joe’s Mild Caribbean Jerk Sauce the credit it deserves. Flaming Joe’s is a multi-award winning company from Geneva, Illinois whose slogan is “Flavor that plays with fire!” Besides the “mild” Caribbean Jerk Sauce reviewed here, they offer a “Hot” version, along with their Island Fire Tropical Fruit & Habanero Marmalade as well as their Strawberry Jalapeño Jam and Hot Buffalo Dust. Texture & Appearance: This is a very thick, beautiful sauce. There is no separation when you pour it out on a dish, and the dark color contains bits of herbs that fill out the sauce. Nice thick sauce. The Mild Jerk is delicious! I get a little bit of the traditional jerk flavors, but not the overpowering allspice so often associated with Jerk seasoning. There are none of the hard dry bits that turn me off to some jerk sauces. It has a very nice balance. 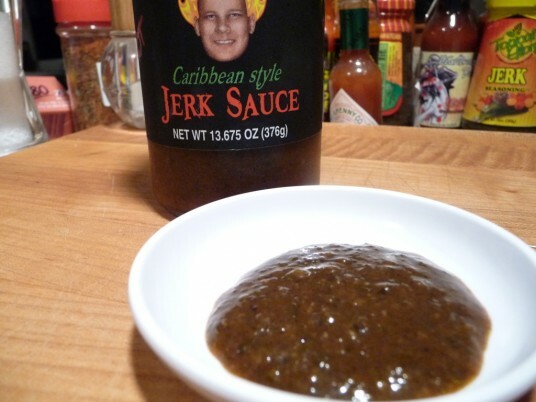 This is my favorite jerk sauce ever! A pretty mild 2 out of 5. But who needs heat in Jerk? It’s all about the flavors, in my opinion. Flaming Joe’s distinctive Fire Head on a black background with red, yellow, and green letters make this a label that announces itself on a shelf. Just look for the guy with the big smile whose head is on fire! The descriptor lets you know what you’re buying, so there’s no question that you’re getting a Mild Caribbean Style Jerk Sauce. This is one of the most distinctive lines of sauces on the shelves. Well done! We’ve had this on wings, chicken tenders, and burgers. But marinating cubes of pork tenderloin tips for 2 hours, then grilling them with a final brush of the sauce really lets the flavors of this sauce shine through. Even though I am not a huge fan of jerk anything, I loved this sauce! So for you of those out there who love Jerk, and those of you who are hesitant, you have got to try this sauce. Full of flavors, it’s bound to please you, no matter your preferences. I give this an unusual (for me) 5 out of 5 stars! A premier round of flavors, we’ve tried this on dark-meat chicken and on pork tenderloin cubes, both marinated in this sauce, then cooked on the grill. The marinade really soaked into the meat, especially on the pork. I can tell you with no reservation, that if you like Jerk flavors, but can’t take the high sodium or harsh flavors you sometimes get, this is the sauce for you. We have other jerk sauces/pastes/dry rubs in our fridge and cabinet that we’ve had for quite while, but we ripped through this sauce. Visit FlamingJoes.com to order this and all of his other great sauces! And tell ’em HotSauceDaily.com sent you! I thought Marilyn did a great job on this review. And I do think this Mild version of Flaming Joes Jerk Sauce is a great go-to sauce… something to keep in your pantry at all times. Marilyn, so glad you liked it. I always say when it comes to sauces “hot is easy, flavor is much harder”. Being a mild sauce in a hot sauce world is kind of tough. The whole reason the mild version came about was so non chileheads would be able to enjoy it too. This is our standard sauce for family get togethers because everyone can enjoy it. We of course always serve it with hot on the side for those who want more kick. Thank YOU, Joe, for making this sauce! I really really love it! I havent had this sauce yet but I agree. Its not always about the heat. Flavor with some kick I think is the way to go. I look forward to trying this!!! Steve, You’re going to love it! The consistency of this sauce is impressive. 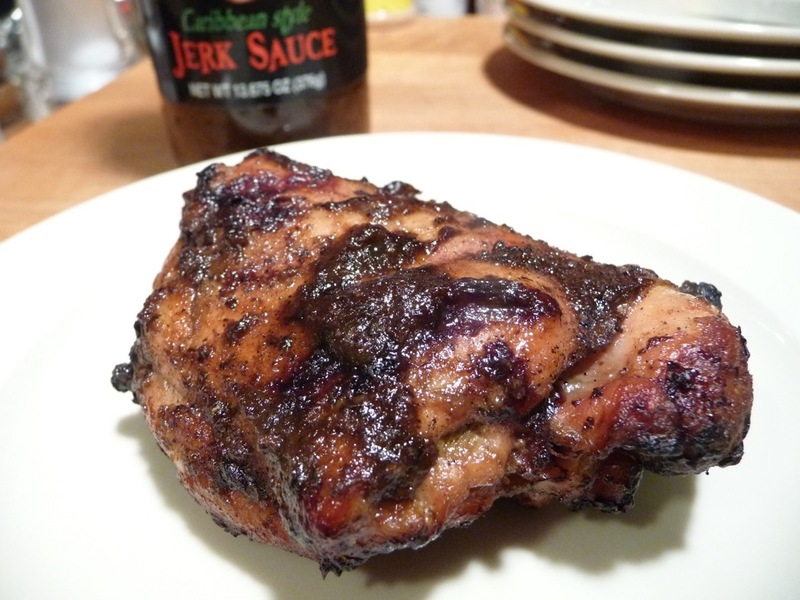 Jerk is a favorite flavor profile of mine but I don’t know why I mostly limit it to chicken. Pork tenderloin sounds like a great idea.